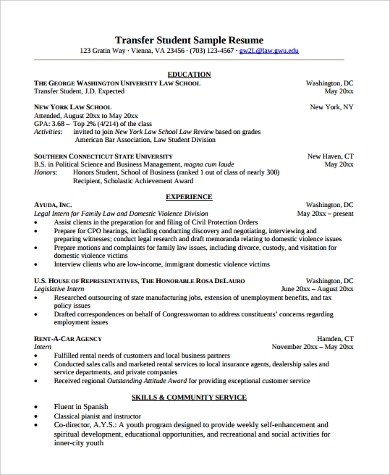 Whenever employers look for a possible candidate for a certain post in the company, what they look at first is the candidate’s resume. 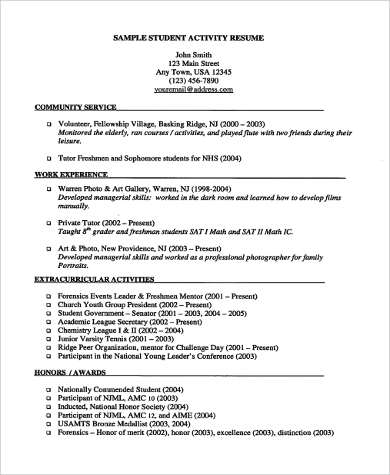 A resume is simply a summary of a person’s professional credentials. 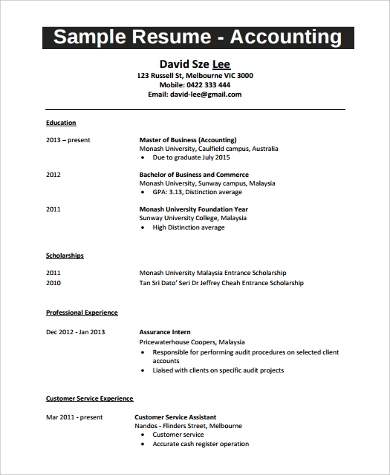 You may check Sample Resumes for different formats of this kind of document. Normally, people who already have work experiences are most likely to use resumes. They use it to provide information on their education and work background, professional experiences, skills gained, and seminars or workshops they have already attended. 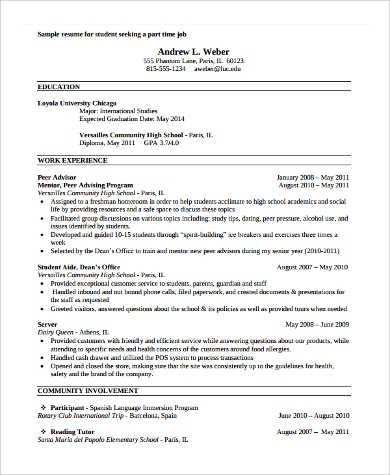 Should you still be a student or a fresh graduate, there’s nothing to worry about as there are means and ways on how you can create your very own resume. You may lack in terms of working experience, but what you have gathered and done in school are more than enough. 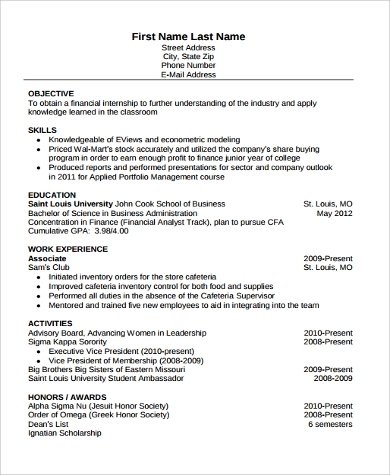 As a quick way of self-introduction, creating a resume should reflect your personality. It should be able to bring out the best in you and provide a big impact to whoever is looking at it. Whether you are a student of Accounting, Business, Engineering, Finance, Tourism, Nursing or other courses, you need to be able to highlight your strengths, goals, objectives and achievements even if you still do not have work experiences. 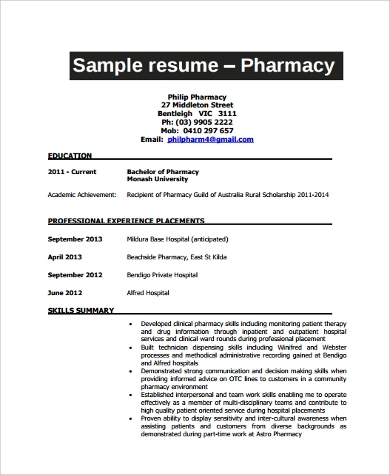 Should you be taking up a course in Nursing, you may go to Sample Nursing Student Resumes as we have readily available sample resumes for you. 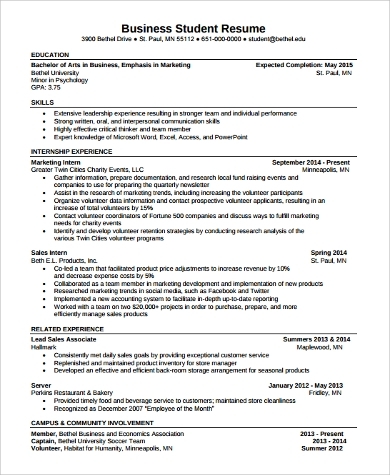 A good start in making your resume as a student is by enumerating your skills, practicum experiences, competitions joined, both curricular and extracurricular awards and citations, and the volunteering projects that you have been into. Also, remember that a good educational background and school performance are key factors for an employer to consider hiring you. Make sure that you are guided by the templates that we have so you can be sure that the information that you are putting is precise and are the things needed to be known by the employer. 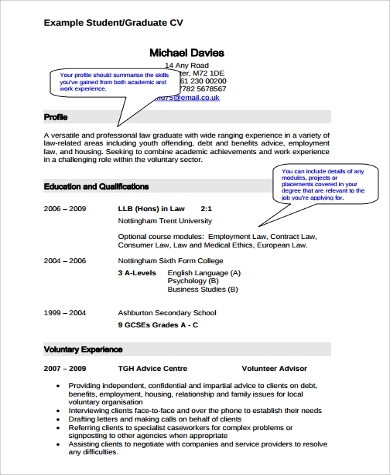 Resumes can also be used by students who are applying for part-time jobs. Just make sure to highlight your work ethics and your good character; with references on how you handle tasks at school projects, events, and other programs. This will give an idea that even if you do not have professional work experiences yet, you actually have the drive to be in a working environment and make things happen to help the company achieve their goals. 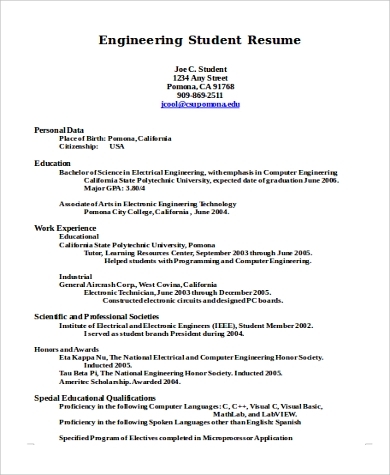 Should you still be in high school and already want to start in creating your resume, go to High School Student Resume Samples as we have made it easier for you. Transfer students can also have their resumes so it is easy for employers to see the kind of activities that he/she has been doing on his/her original location. 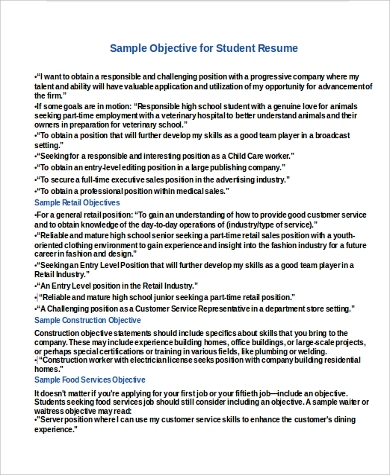 Whatever style or format of resume you end up to, always remember that the objective of making one is for a possible employment. Do not think that just because you have zero work experience means that you cannot land on a job. It’s all about how you present yourself and always putting your best foot forward. Showcase your best attributes and ace the job that you wanted to land on.